GeorgeJonesMusic.com has teamed with CDNow.com and Tower Records to offer a huge selection of tapes, compact discs, and instant single downloads. These are just a couple of GeorgeJonesMusic.com's featured product. You'll find hundreds more below. 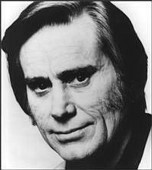 GeorgeJonesMusic.com is pleased to be among the few mega sites on the web offering instant single downloads of your favorite George Jones songs. We also offer through our partners, CDNow.com and Tower Records, a great listing of available George Jones albums, tapes, or Compact Discs. Click the links below to explore the huge inventory of titles we offer. You'll also find audio clips, bios, and more! GeorgeJonesMusic.com proudly offers Tower Records George Jones products. Look for George Jones album covers and click to explore the huge inventory. PLEASE BROWSE THROUGH OUR LIBRARY OF GEORGE JONES ALBUMS. CLICK ON THOSE TITLES WHICH INTEREST YOU. MOST HAVE SAMPLE TRACKS YOU CAN ENJOY BEFORE YOU BUY! Artist: George Jones Released: 10/27/1992 Label: MCA Records Producer: Emory Gordy Jr. While GeorgeJonesMusic.com grows, please keep checking back... We add new music, photos, and information daily!